Just stumbled upon your site, like your comics! Definitely bookmarking this! hey there linemaster96! nice web-site! oh? what’s that? your a bot? I never would have been able to tell with an insightful comment like that. Oh yeah, the comic. it is funny. FTW. dammit! FailedNinja already use FTW! 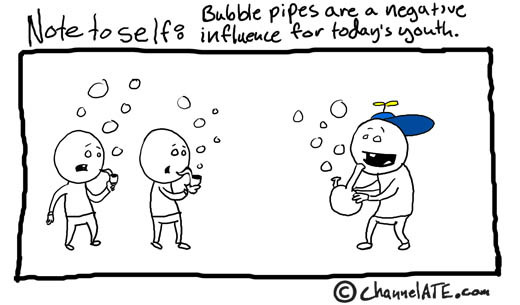 uihm, think…quick…ohh bubble pipes!